Well thanks to a trip to the doctors I’m on meds this week and can’t have alcohol, but that doesn’t mean we can’t have a good time. Today comes a drink so good it doesn’t even need a spirit. In fact this might just become a standard drink on the menu (which needs an update actually). 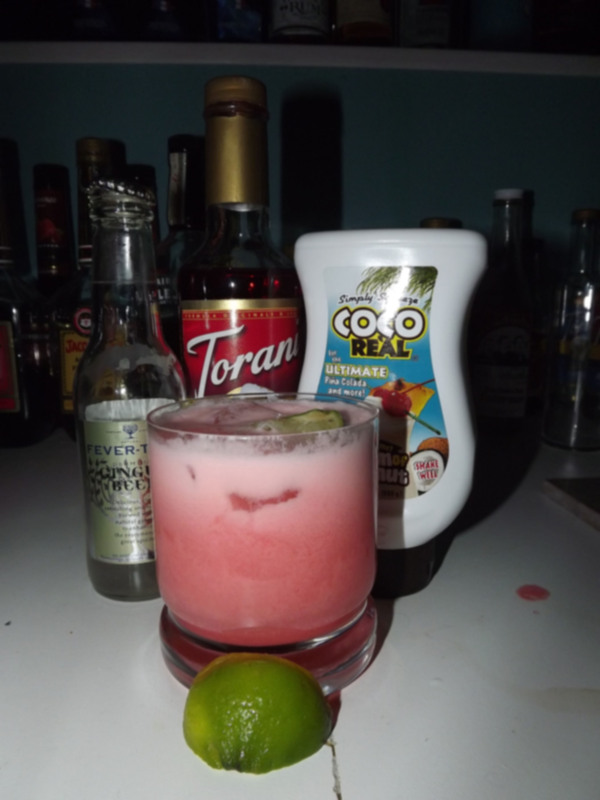 The original recipe for this drink calls for coconut sorbet or gelato, and raspberry syrup, however I don’t have any of those so this drink needed a slight variation and I get the feeling I improved on what was already there. 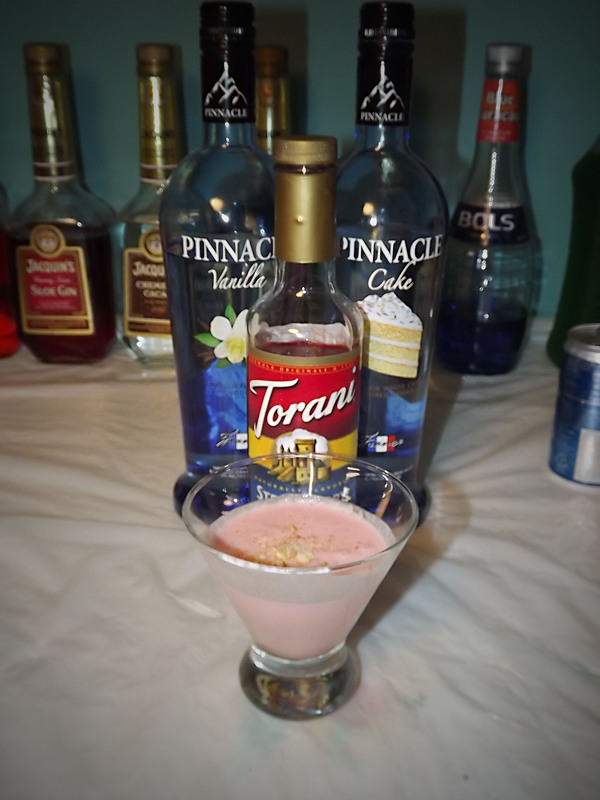 The drink starts frothy and sweet as the pink color and foamy top might suggest. 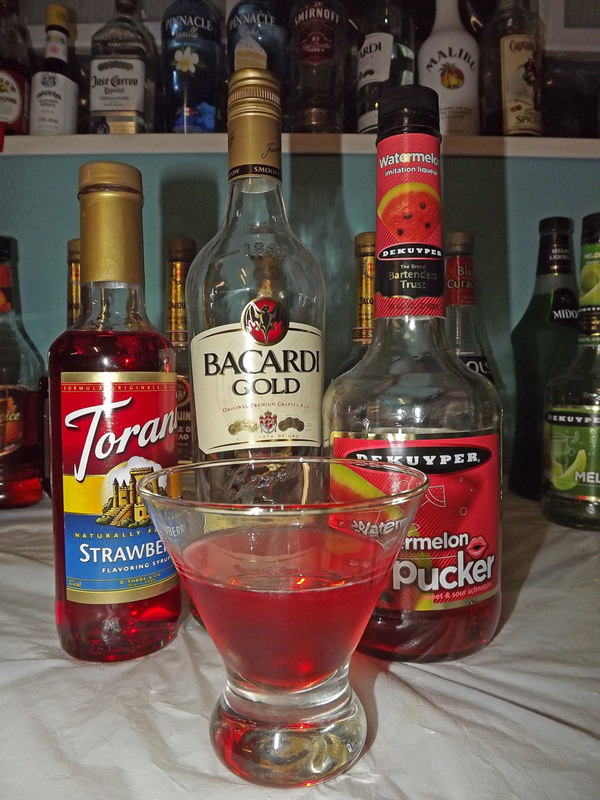 It moves to a berry and ginger flavor on the mid palette, then finishes with a spicy ginger fizz. This is a great drink all around, easily a 8-9/10. So if you have the original recipe’s ingredients or you happen to try this variation, let me know how it went. 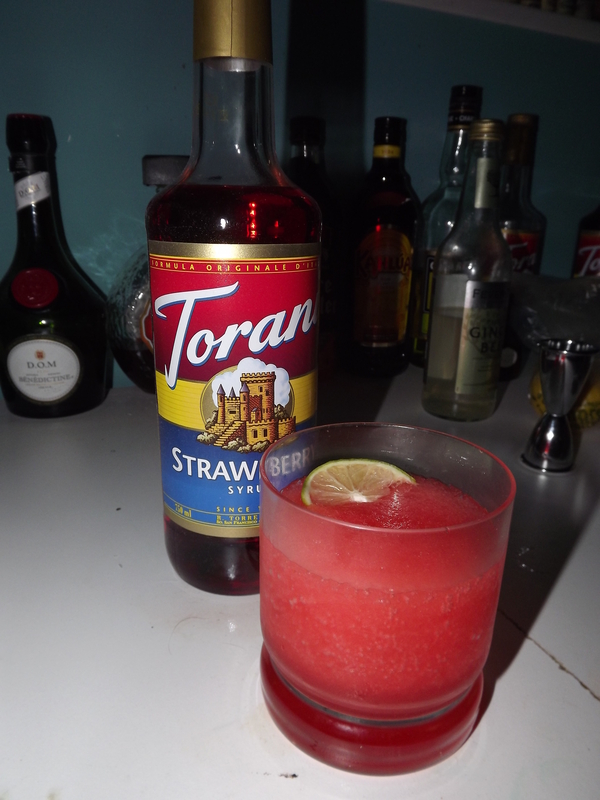 Shake Coconut Syrup, Strawberry Syrup, and Lime Juice with ice. Strain into an iced tumbler (or highball) glass. Squeeze lime wedge over the drink and drop it in. So I’ve been running a bit behind schedule what with Christmas coming up and everything, so sorry about missing last week and being late this week. 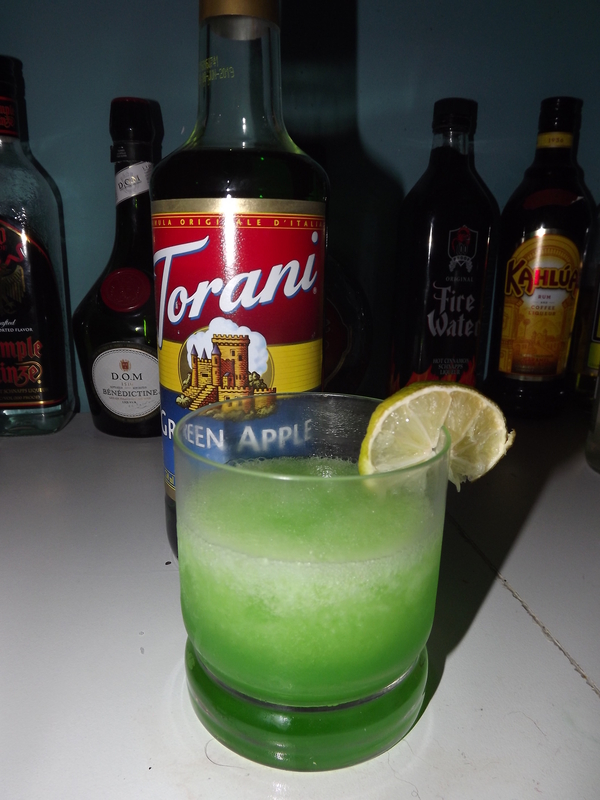 That being said here’s a new original cocktail for those looking for something sweet this week. Combine ingredients with ice and shake. Strain into petite cocktail glass. …I’m going to Strawberry Fields.